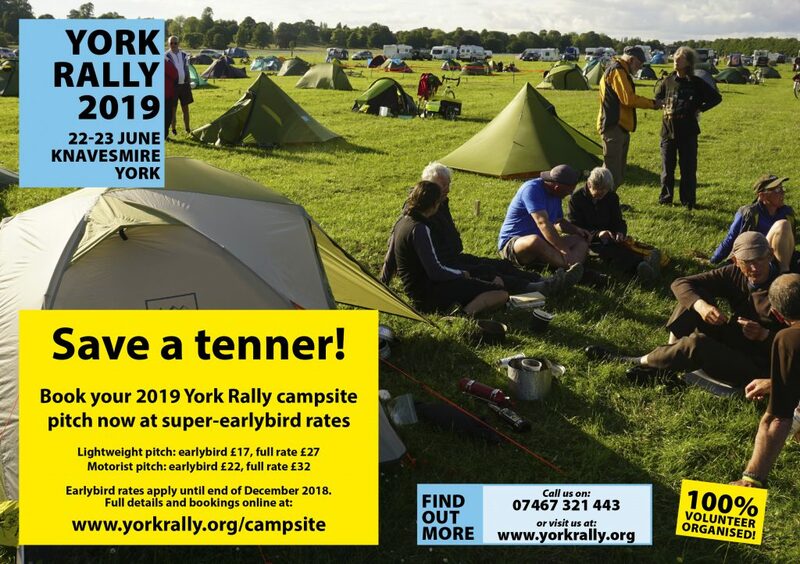 Here you can download publicity materials for the Rally to help spread the word, along with a few other relevant documents! Feel free to pass copies of these to anyone who would find them useful. 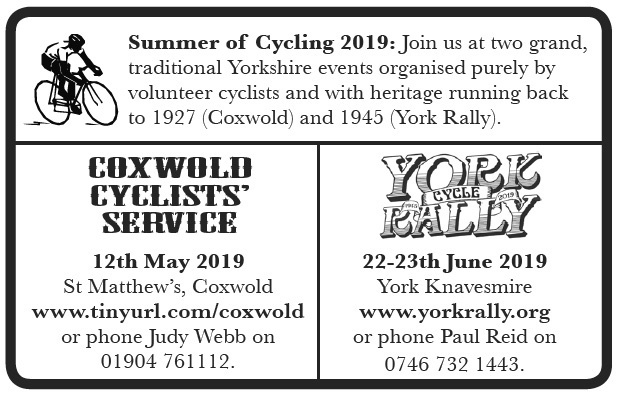 2019 A5 leaflets. 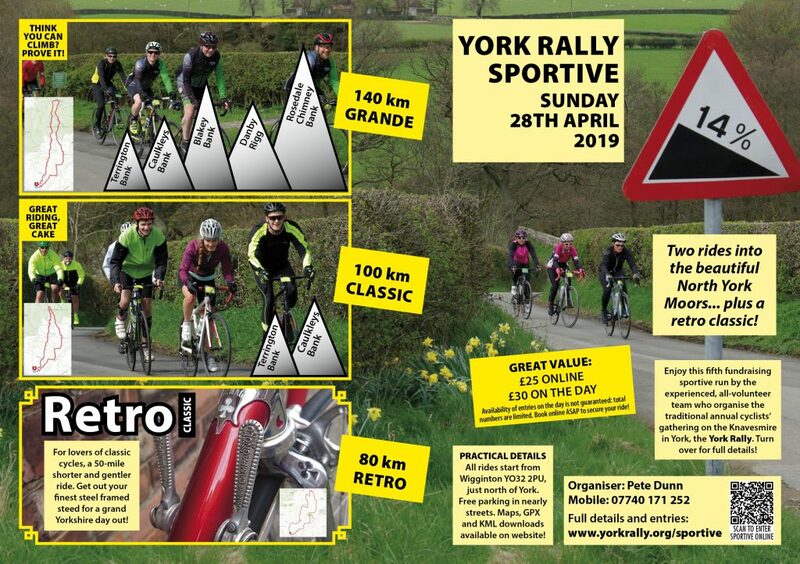 It’s best to use JPG for sharing on social media (click above to enlarge), while the PDFs (for Rally, Sportive, Retro) are great for print (any size from A5 to A3 should work fine!). 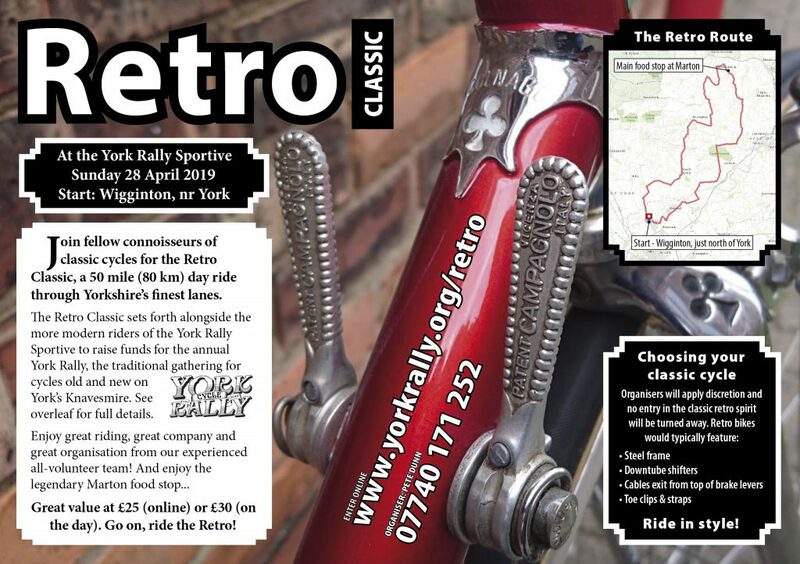 Please just ask if you’d like us to send you some hard copies of the main A5 leaflet – promoting the York Rally on one side, the Sportive on the other. 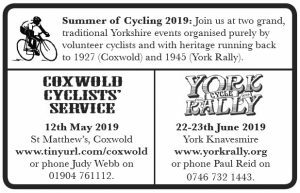 2019 York Rally & Coxwold Cyclists’ Service cards. 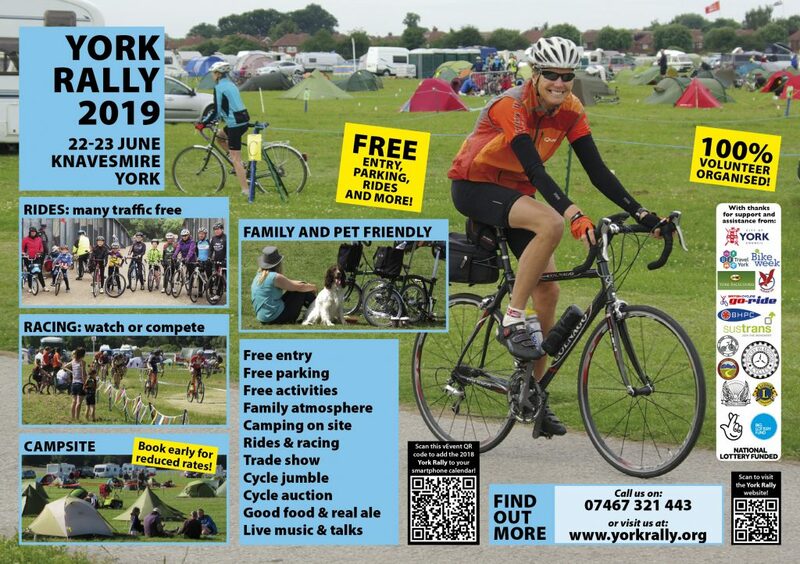 Print out the PDF onto an A4 sheet and you can cut it up into 10 credit-card sized cards, ideal for carrying with you as you ride and passing to fellow cyclists! 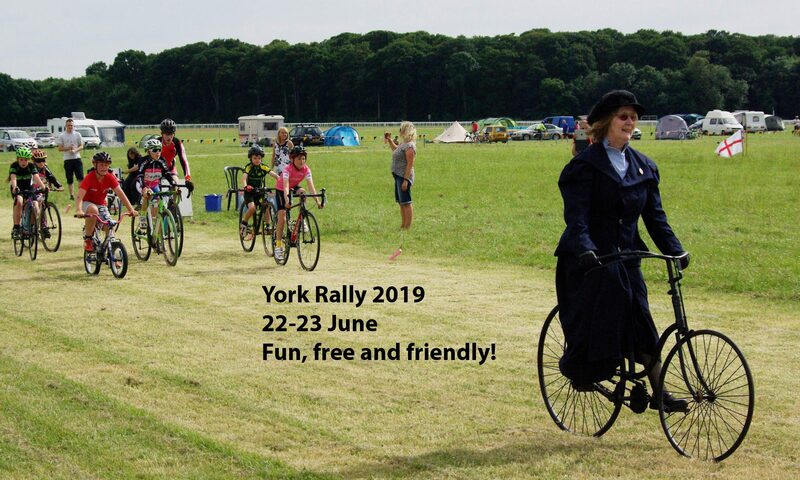 2018 Show Programme (download the 15 Mb PDF). 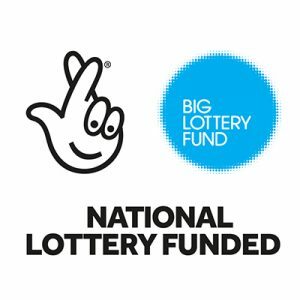 2017 Show Programme (download the 15 Mb PDF). 2016 Show Programme (download the 9 Mb PDF). 2015 Show Programme (download the 13 Mb PDF).